Volunteering in nature conservation and Wilderness stewardship plays an integral part in connecting people with nature. It offers opportunities to get an insight into the work of environmental agencies and organisations and raises the awareness for the importance to protect and steward untouched or endangered ecosystems. Meeting with the Selway-Bitterroot Frank Church Foundation and Ecology Project International gave me an insight in how such volunteer opportunies can look like. The Selway-Bitterroot Frank Church Foundation is a group of wilderness minded people offering wilderness experiences to citizens and youth. 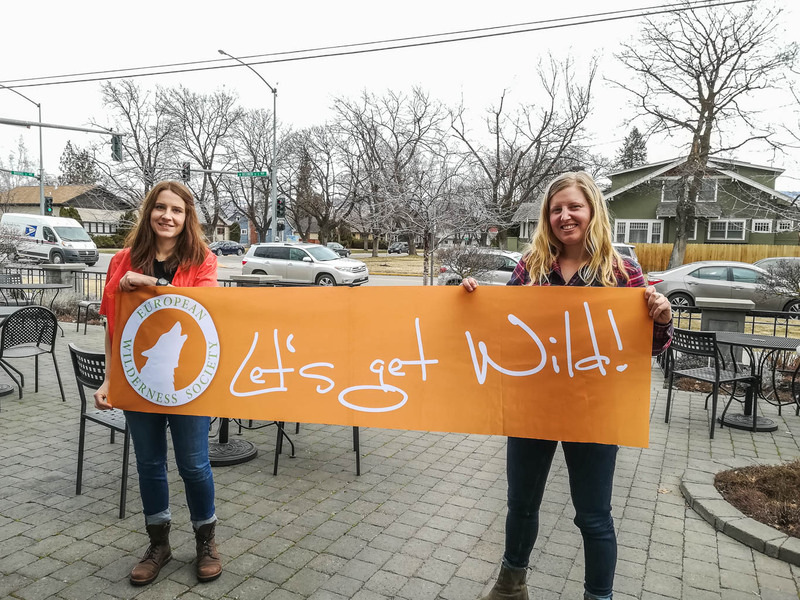 The foundation connects the surrounding communities through Wilderness Stewardship bringing people into wilderness to work, live and play. The foundation was formed in 2005 and supports the managing federal agencies, in this case the Forest Service, to steward the approximately 1 618 742 ha of the neighbouring Selway-Bitterroot and Frank Church-River of No Return Wilderness across Idaho and Montana. The Selway-Bitterroot Frank Church Foundation offers various opportunities to work in and experience the local Wilderness of Idaho and Montana. Their several-days long volunteer programmes aim to connect like-minded people with each other and Wilderness. During those programmes, which are free of charge, up to 15 people work on tasks like trail maintenance. The foundation’s programmes try to fill in gaps in Wilderness stewardship that arise due to budget cuts in the managing agencies. These trips are usually accompanied by pack animals, so the volunteers just have to carry their own supplies. The Wilderness Ranger Internship Program targets to undergraduate students. After a several week training during May and June the students accompany Wilderness Rangers and seasonal staff for 8-day trips to the Wilderness. The students will for example learn about Wilderness Stewardship, the underlying legislations and Leave No Trace rules. These two projects are also open to international students and interested individuals. They would further offer great opportunities for our exchange projects, in particular for the student exchange projects. Ecology Project International an educational NGO with the mission to “improve and inspire science education and conservation efforts worldwide through field-based student-scientist partnerships.” They try to empower youth to take action in conservation through various student programmes on 5 locations in and around the U.S.. Their programmes aim to Middle and High School kids between 13 and 18 years. In particular their summer and winter programmes in the Yellowstone National Park are interesting as parts of these programmes could be applicable in similar ecosystems in Europe as well. During these two programmes the kids will work on data collection for ungulates, especially bison, and will get an insight in wildlife management practices by studying tracks of wolf. Next to collecting data the kids will learn more about Leave No Trace camping techniques, as they will be camping during the summer programmes. They will observe wildlife, explore Yellowstone’s geothermal features and hike to pristine lakes. All of their courses are for local and international kids, whereas the programmes for local kids are partially funded by the tuition fees of the international participants. This should enable local school kids, who might not have the financial ressources, to connect with their surrounding ecosystems and get a glimse on research and service work in conservation. The kids can participate in the program within a group with their teacher or on their own. In advance they will get access to an interactive online portal to learn more about the ecosystems and work they are going to explore. Next week I am going to travel to Nevada to visit the Lake Mead and Death Valley Wilderness areas and to explore the mountains around Mammoth Lake and Bishop, California together with Garry Oye.